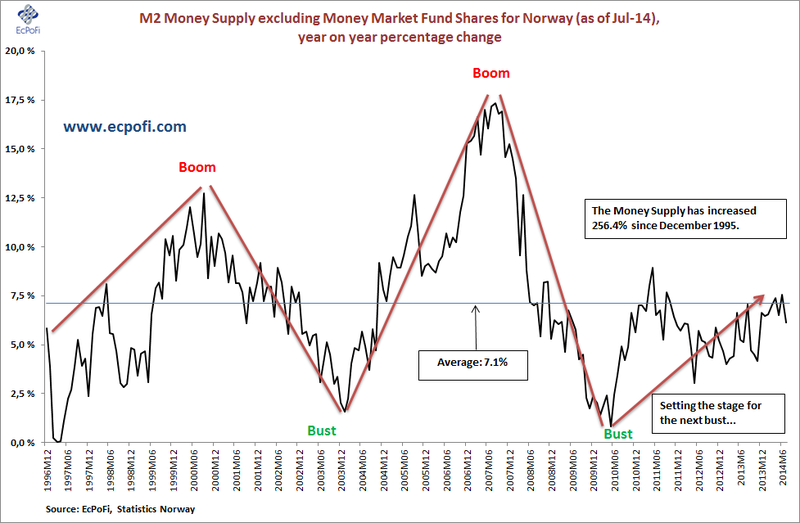 Money supply growth in Norway, measured as the year on year percentage change in M2 Money Supply minus Money Market Fund Shares, fell to an eight month low according to July figures released today by Statistics Norway. Though lower than the 7.1% average since 1995, the current 6.1% year on year growth rate is nevertheless substantial as it equates to a doubling of the money supply in less than twelve years. 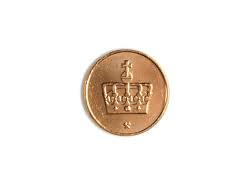 For Norwegians wondering why their Norwegian Kroner (the local currency) buy so little these day, I can only advice to focus less on the CPI inflation numbers and focus a bit more on the money supply growth rate instead. With a 256.4% increase in the money supply since December 1995, it should be less than challenging to understand why the "50 øring" (1/2 a Norwegian krone) was removed from circulation in 2012. 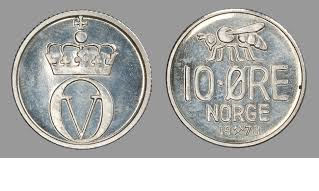 Not to mention the "10 øring" (1/10th of a Norwegian krone) which was taken out of circulation in 1992 and "announced depreciated". Bottom line: if it wasn't for the massive increase in the quantity of money in Norway orchestrated by Norges Bank (the central bank in Norway) and the banking system as whole with its ability to create money out of thin air, both the "50 øring" and the "10 øring" would still be in high demand and in circulation - as you would actually be able to buy something with them (i.e. they would have "purchasing power").